Rock Resurrection Art : Guitar Pick Jewelry for Mother's Day! 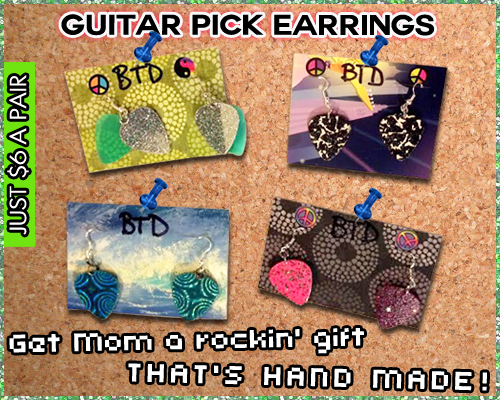 Guitar Pick Jewelry for Mother's Day! Do you have a mom? Does she like music? Well then you're in luck this Mother's Day! I have dozens of unique handmade guitar pick earrings and more in my shop! Also be sure to check out our Facebook page!